Mr. Van Cleave is passionate about seeking justice for his clients. Whether it is the widow Mr. Van Cleave collected a two and half million dollar judgment for following a weeklong trial and an appeal all the way to the United States Supreme Court when an insurance company wrongfully denied her $5,000 life insurance claim; the small business owner Mr. Van Cleave collected almost a million dollars for after new owners of a hotel breached his services contract; or the widow and two orphaned children Mr. Van Cleave recovered $10 million dollars for after their husband / father was killed on the job, Mr. Van Cleave knows that justice is about more than just money. While financial compensation can be a big component of justice in these cases, Van Cleave understands that there are many losses no amount of money can make up for. Justice is about more than just dollars and cents- it is about giving those who have been injured, wronged or taken advantage of the opportunity to tell their story. Justice is about making sure those who have been taken from this world too soon are not forgotten. Justice is about giving everyone the means to stand up to big insurance companies and big corporations. Justice is about holding those who do wrong accountable for their actions. Justice is trying to make an example so that similar misconduct will not be repeated in the future. Justice is about compensating losses, but also trying to keep us all safe from being injured, harmed or taken advantage of in the future. Mr. Van Cleave grew up in the small town of Centreville, Mississippi, where he still has friends and family. 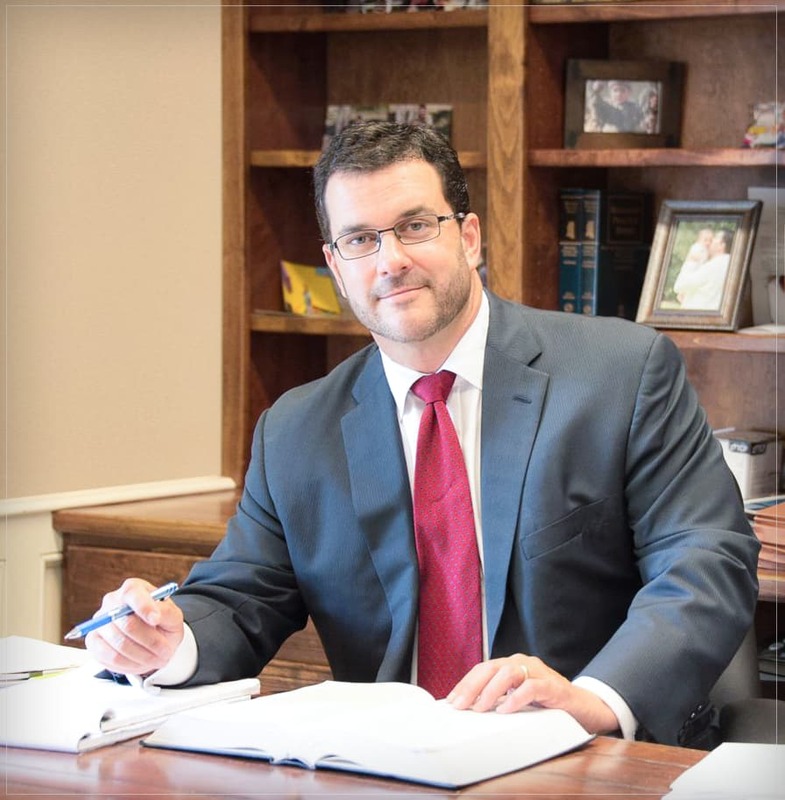 After graduating from Vanderbilt University, Mr. Van Cleave traveled the world and pursued various interests for three years before going to law school at Mississippi College, where he graduated with Honors in 1997. That same year Mr. Van Cleave began practicing law in Biloxi with Minor & Associates. In 1999, Mr. Van Cleave joined Lawrence Lawrence C. “Larry” Corban, Jr. and Clyde H. “Buddy” Gunn, III. in the firm of Corban and Gunn, which was founded by Mr. Corban’s father in 1926. Within a short time Corban and Gunn became the Corban – Gunn – Van Cleave Law Firm. That practice ended in August, 2017, when Mr. Van Cleave bought Mr. Gunn out and formed Van Cleave Law. In his 20 years of practice, Mr. Van Cleave has helped clients collect more than $150 million dollars and fought for justice every step of the way. Mr. Van Cleave has also helped hundreds of potential clients solve their problems without collecting a fee for himself or the firm. Mr. Van Cleave is committed to using his training and experience to help you find the best solution to any problem you have. Sometimes that means providing you a shoulder to lean and/or honest counsel free of charge. Other times it means providing you with legal representation. It may even mean identifying an issue that is outside the scope of Van Cleave Law’s representation. When that happens, Mr. Van Cleave will help you find the right lawyer who he believes will give your case the hard work and personal attention that he aims to provide at Van Cleave Law. Mr. Van Cleave is married to the former Kelly Ann Beard, and they are the proud parents of three young children. When he is not in Court or working on your case, you are likely to find Mr. Van Cleave coaching or observing their twelve year old and/or five year old son’s baseball, soccer or flag football team, or attending their eight year old daughter’s dance recital or gymnastics meet. If you think your problem may require legal counsel, give Mr. Van Cleave a call and the opportunity to start earning your trust today. Mrs. Johnson has lived on the Mississippi Gulf Coast since 1979. Mrs. Johnson has over 30 years of legal experience working mainly for plaintiff firms focusing on personal injury, medical malpractice and breach of contract. Mrs. Johnson joined Van Cleave in 2008 and is crucial to every aspect of his practice. When she is not working on your case or helping Mr. Van Cleave at trial, Mrs. Johnson is likely spending time with her husband, Ricky Johnson, or with her three beautiful children and four adorable grandchildren.